Jean-Michel Jarre Quotes. 9quotes.com, 2018. http://www.9quotes.com/quote/jean-michel-jarre-554931, accessed 20 April, 2019. 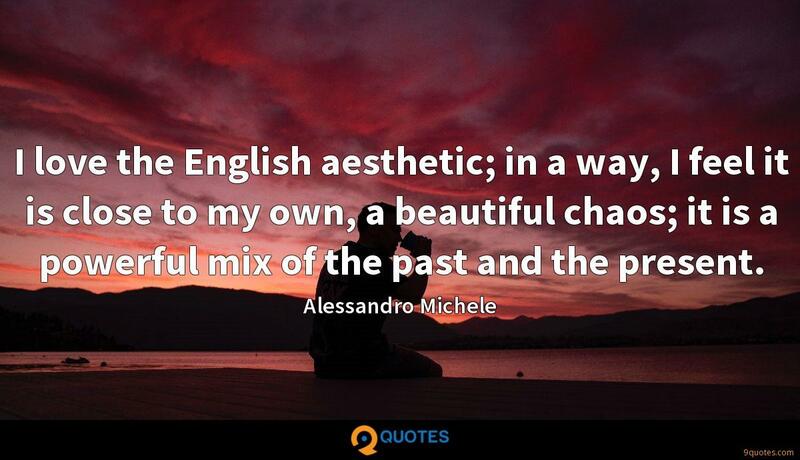 I love the English aesthetic; in a way, I feel it is close to my own, a beautiful chaos; it is a powerful mix of the past and the present. Acting and philanthropy are braided together. I've tried to seek out things that speak not just specifically to the community that created me, but that speak in a way that's universal and all of humanity celebrates. Obama is the New Generation and the hot light of a dawn that goes way beyond clever talk of morning in America. At the time, 'Oxygene' was considered a totally 'far out' concept... What was 'in' at the time was disco, hard-rock, and the early days of punk... and moreover, 'Oxygene' was instrumental. And I was French! I've always been involved in the visual aspect of my work, and moreover, it's very important in days where technology allows us to push the boundaries even more than when I started out. I used to play in rock bands. Then I went to the first school of electronic music in the world. It was in Paris headed by one of the most important people involved in electronic music. 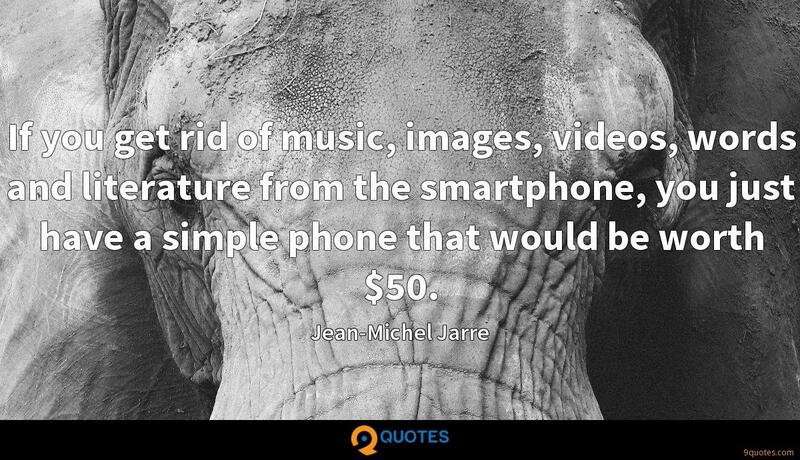 If you get rid of music, images, videos, words and literature from the smartphone, you just have a simple phone that would be worth $50.